Good Leads® was selected by Care2Care as partner to help launch their sales pipeline for medical travel solutions to France. As a premium provider of B2B lead generation and outsourced business development services, Good Leads will source new business opportunities for Care2Care throughout the United States. We engaged Good Leads based on their straightforward approach to lead generation. We look forward to Good Leads delivering quality leads for our medical travel solutions to France to the ‘self-insured business market’ said Pascal Orliac, Co-Founder. Good Leads® was selected by Care2Care as partner to help launch and build their sales pipeline for medical travel solutions to France. As a premium provider of B2B lead generation and outsourced business development services, Good Leads will source new business opportunities for Cara2Care throughout the United States. 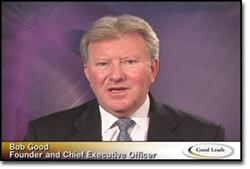 Bob Good, CEO of Good Leads, in making the announcement, said, "We are pleased with being selected as a business partner to launch and build Care2Cares sales pipeline throughout the U.S. Our technology-focused Prospect Builder® Program and methodology is well-suited to grow their base of opportunities through our discovery and qualification processes." "We engaged Good Leads based on their straightforward approach to lead generation. We look forward to Good Leads delivering quality leads for our medical travel solutions to France to the ‘self-insured business market’," said Pascal Orliac, Co-Founder. Good Leads dedicated lead generation team will focus their efforts in a multi-segment industry approach, leveraging the success of their strong customer base. With headquarters in Chatou, France, the firm was founded to provide cost efficient medical care for U.S. citizens at premier healthcare facilities in France. The offer is extended to U.S. firms who are 'self insured' and want to manage costs yet provide premier medical options for their employees. The leadership team is comprised of CEO Andre Wencker with Co-Founders Jean Francois Vermont and Pascal Orliac.